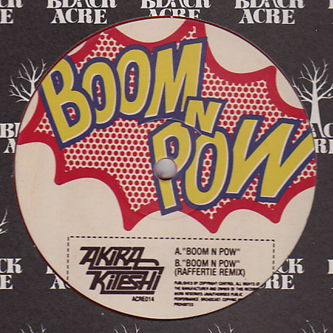 From the more mangled corner of the dubstep rave, Scotland's Akira Kiteshi rounds off a crushing cut backed with a Raffertie remix. 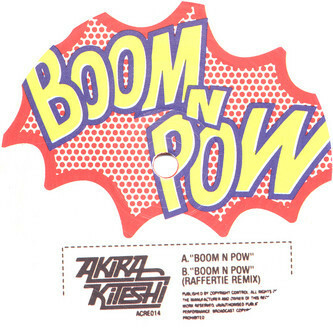 Kiteshi's 'Boom N Pow' unfolds a contorted rhythmic structure, shifting into action like a collapsed scaffold writhing with an spastic IDM energy sure to shock the dance, while Raffertie moves beyond the raw rave styles of earlier releases with an accomplished display of editing skills and a febrile imagination. Complex and dirty for those that need it like that.